"Brock’s introspective characters, satisfying sub-plots, and unexpected—but justified—twists elevate the novel from a period romance to a suspenseful peek inside high society’s gilded cage." "Told from the inside of the gilded cage, A Fine Imitation explores one Manhattan socialite's growing realization that who she's been brought up to be is increasingly at odds with who she is. Although set in a rarified corner of the early twentieth century, this lush, incisive debut novel explores the universal choice between doing what is right versus what is expected." 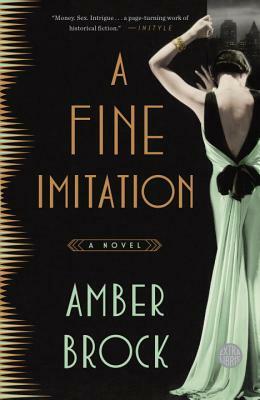 "In A Fine Imitation, Amber Brock gives us a portrait of a woman and her times that shines with authenticity and charm. Women especially must read it--here we are, ladies, each and every one of us."